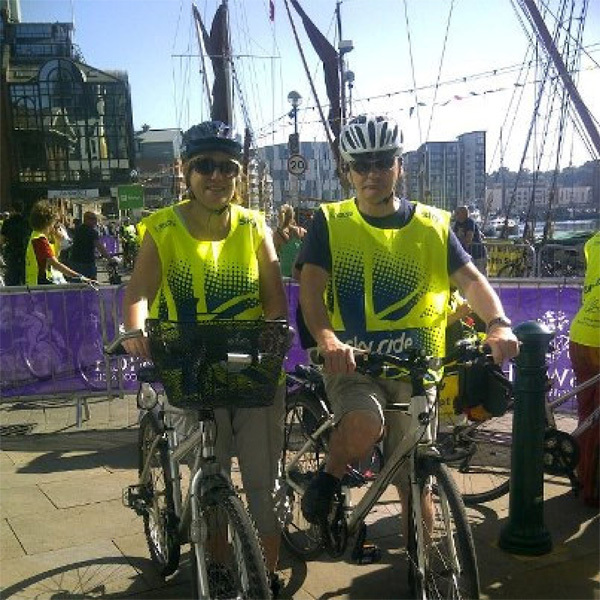 Anthony Wooding of Kerseys and Debbie Wooding at the Ipswich Skyride. Lynne Mitchell was giving out the tabards! The course was well organised by IBC. Photo taken by Di Johnson. 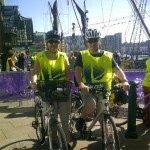 Lovely weather and saw lots of people we knew, on the ride and in the bars and cafes on route.